Every second smoker sooner or later think about how to leave this addiction. To quit Smoking, in principle, easily – harder to overcome psychological dependence. How quickly cleansed the lungs and the whole body after Smoking cessation is throwing so many addiction interested in these issues. 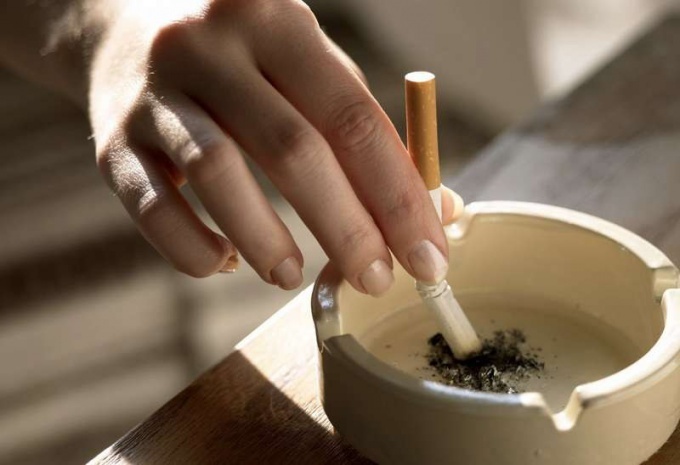 For a start, it should be noted that the more experience a smoker, the slower will output the accumulated toxins, tar, etc people exposed for a long time the habit will be much harder to overcome psychological dependence and habitual motor skills (search, lighters and cigarettes in the pockets, imitation of churning ash, etc.). How quickly cleansed the lungs of the smoker? The rate of excretion of toxins from the body depends on the experience of the smoker. Usually with little experience in the first days of the body are derived of primary and secondary products of nicotine. After 3-4 weeks, the former smoker becomes easier to operate, move, as light begins to receive more oxygen. A few months will improve the work of the lungs is, in the first place, will manifest itself in the reduction of dyspnea and increase endurance. A former smoker will be able to pass a greater distance "uphill" than before. At the same time improves blood circulation in the limbs. For three months after quitting Smoking people will be able to observe the allocation of brownish mucus (sometimes bloody patches). However, the fear in this case is not worth it! It away the accumulated deposition of tar in the form of sputum. In severe cases, the phlegm can come in the form of clots or pieces – for this reason also do not worry. The more of this mucus comes out, the sooner cleared the lungs. An ex-smoker can feel like a man, absolutely not have long-term effects of Smoking, 3-15 years (for each former smoker term varies). This, of course, a very long time, but the results are worth it. For all the people who decided to quit Smoking, the most difficult are the first days of the rejection habits. Throwing all smokers know what "breaking the first days." It is characterized by severe headache, a sensation somewhat similar to hunger, and other unpleasant symptoms that each are manifested in different ways. The first day in a smoker of a syndrome of cancellation – the termination of the receipt of the nicotine and carbon monoxide manifests itself in the above symptoms. However after 12-24 hours your lungs will work better (will be a feeling of lack of oxygen, and not have to do a convulsive deep breaths). Having experienced this unpleasant condition that characterized the early days of the abolition of Smoking, the smoker can improve their health and purify your lungs.